All good things must come to an end. We have a great pleasure to say goodbye to you all. We have had a bunch of amazing events organized for us since we arrived here in HSS apart from studying as a priority number one. We really enjoyed the course and had an experience of a lifetime together and it is now time to say goodbye and part ways and go back to our home country and practice what we have been taught here in HSS. Once more we grasp this noble opportunity to say Asante Sana! Kiitos!! 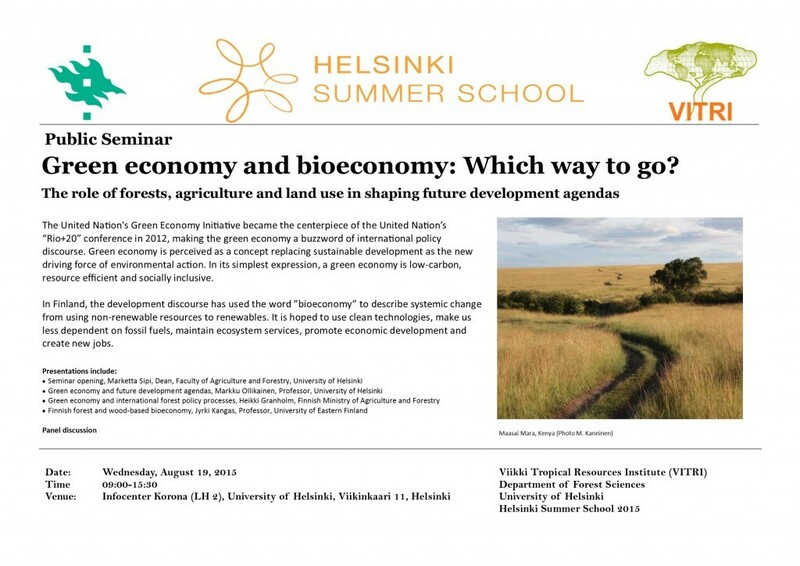 Day 11 – 19th of August – Green Economy – Bioeconomy: which way to go? It is almost the end of our Summer School!! Of course we are a little bit tired after almost three weeks of rich discussions and experience exchanges… but there is always time for more! 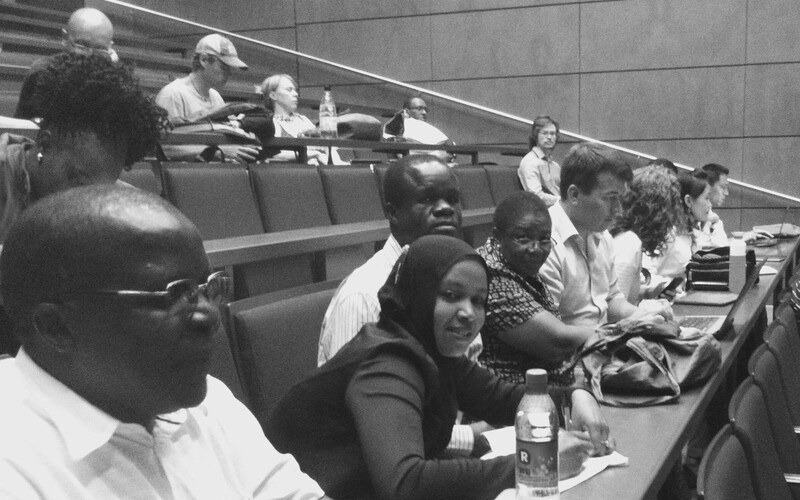 Today we changed place and our ‘family’ grew up: we are ready for sharing our ideas at the “Public Seminar”, part of the Summer School program. The central theme of the seminar is Green Economy, and a panel of experts will follow the three presentations. 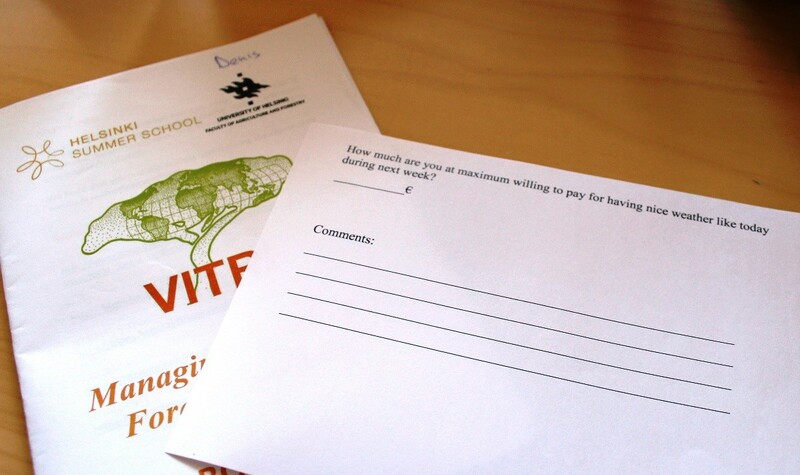 The challenge of the day is to discuss which is the best way to go with Green (or Bio) Economy. This Tuesday we presented our group work about the six different landscapes all over the world. Each group had to analyse one landscape concerning Biodiversity, Ecosystem Services, Ecotourism and Carbon. The day commenced well with Saska Lohi the course coordinator introducing the lecturer of the day i.e Adrian A. monge monge. 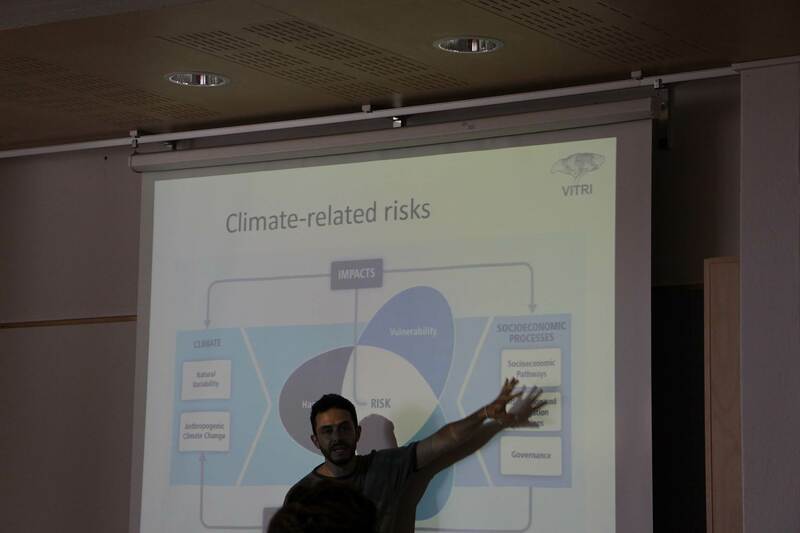 He also introduced himself more as holder of Bsc in tropical forestry(costa lica) and a msc in forestry economics(finland). The day began with the Kenyan folks arriving very early, prepared to start the day! Saska Lohi, the programme coordinator made some initial remarks and presented the activities for the day. 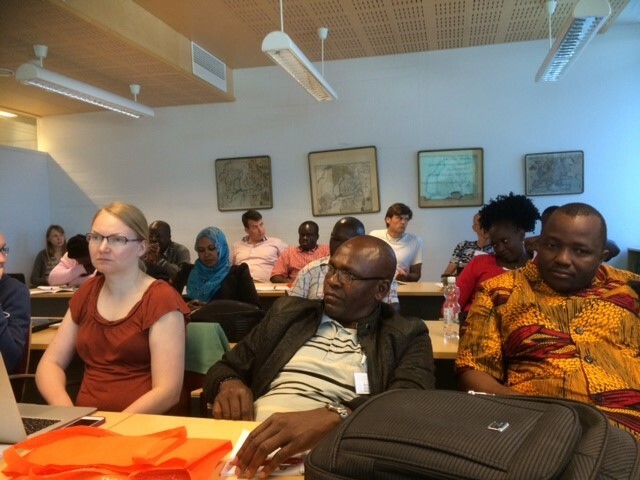 Day was fully dedicated to understand carbon; both in theory and practice, through the lecture in the morning and a workshop in the afternoon. 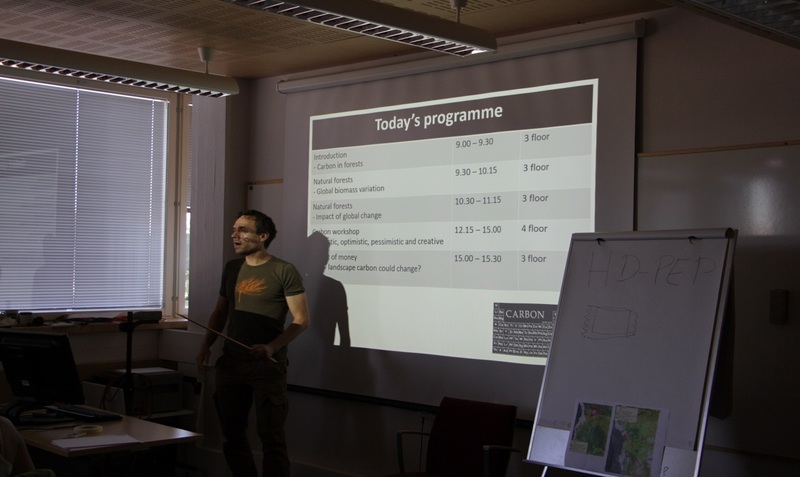 Docent Markku Larjavaara, working in VITRI, revolved around carbon in five sections; carbon in forests, global biomass variation, impact of global change to forest carbon, carbon workshop and concluded with how money and carbon are linked! First we had the pleasure to listen to Dr. Markku Kanninen’s lecture about plantation forests. The learning objectives covered the purpose/management objectives of plantations, global trends in plantation forestry, and plantations as a part of laandscape. The FAO definition of forests and plantations was used as a base for the presentation. On Wednesday the sun was shining once again and we had interesting lectures with lots of discussion, which many of us had been missing. Early morning Denis traveled to the Viikki campus by bike, which was provided to him by the course coordinator Saska Lohi. It was a great opportunity to enjoy cycling in Helsinki (which is one of the best bike-friendly capitals in the world) and to be an environmentally responsible student (Kiitos Saska!). The lovely weather continued (the days when the temperature reaches above 25 degrees are counted as ”hellepäivä” or ”a day with a hot and sunny weather” in Finland, this year we’ve only had a handful of days like this so far!). In the morning at around 07:00 to 08:00 we took breakfast at Hyytiälä forestry field station. During the breakfast we were sitting on the chair made of forest wood. This chair was specially design to give comfort and to make us relax in other to have good breakfast. 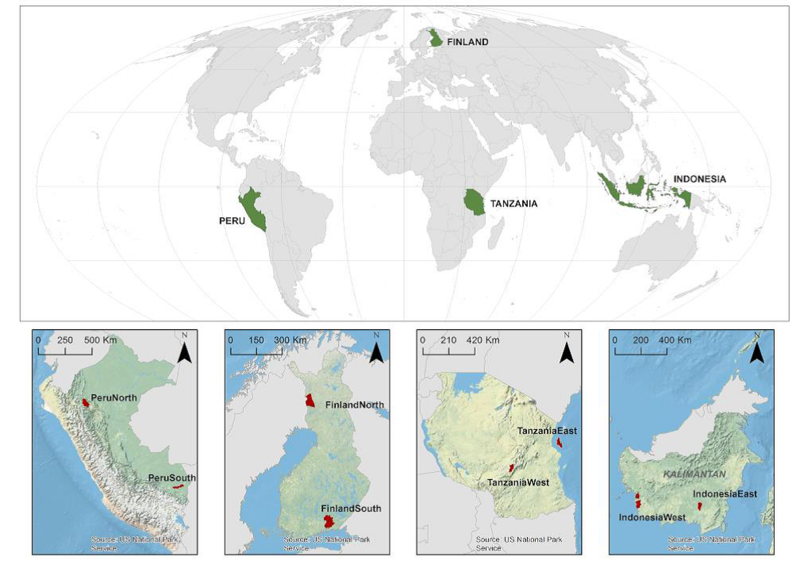 This shows the contribution of ecosystem service to human well-being.